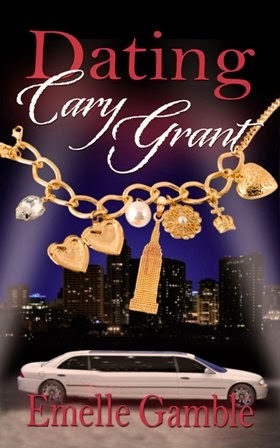 Dating Cary Grant is a romance all about New York City career woman Tracy Connor struggling with real issues with her real guy, her husband of six years, Mayor Mike Connor of Cukor, Connecticut. Tracy is a smart woman, but some of her problems with relationships are partially caused by her unrealistic expectations that real guys should – and can - behave like matinee idols. Mike’s problems are also caused by the fact that he’s such a great guy and overextends his heart, and his appointment calendar, to every constituent, friend or stray animal who crosses his path. Dating Cary Grant considers just how selfless a man needs to be to meet his wife’s expectations, and just how honest a woman must be with herself about what she’s willing to give, and give-up. And Cary Grant is along to help prove that any woman’s search for ‘Mr. Perfect ‘ might take her to a surprising place to find him. Her husband rested his big hands on the door. "Look, can I just come in for a few minutes?" She lowered her voice. "It’s the middle of the night, Mike. Please." "I know what time it is." His eyes studied her face, and then swept down her body with the force of a physical touch. "And I know you’ve got a headache, but let me say you look great. Really great. And you smell wonderful. Is that new perfume?" "No. It’s the same perfume I always wear." She watched as Mike’s eyes dropped to her cleavage and her face burned over the fact she had chosen this sweater with another man in mind. "Mike, you really need to go." She stepped across the doorway as if to encourage him to head for the stairs. "Am I interrupting something?" He pointedly looked over her shoulder. "No. Of course not. Not that it’s any of your business." "How’s that? We’re still married, aren’t we?" "Yes, we are. But after everything we’ve been through the last couple of years, I’m a little surprised you’d insinuate something like that." "Like I’d cheat on you." Mike’s face paled. "I wasn’t insinuating that. Look, just a few minutes, okay? I smell coffee. And I could sure use a cup." Tracy sent another glance down the stairs. "There’s a 24-hour deli a block over. You can stop and get some on the way back to your car. I’m not trying to be difficult, but I just need some sleep. I’ve got to go into work all day tomorrow, and Sunday I promised to meet Posey early in SoHo, so whatever you’ve got to say --"
"--I’ll buy you pancakes. You love pancakes. Even in the middle of the night, right?" He reached out and gave her arm a squeeze. Her heart softened but her tone remained unchanged. "I’m not hungry, Mike. I’ll call tomorrow and we’ll set up a time where we can talk more. Please, just don’t push me." Dating Cary Grant by Emelle Gamble is a 2014 Soul Mate publication. I was provided a copy of this book by the publisher and Netalley in exchange for an honest review. Tracy is a New Yorker through and through. She works at an independent TV station that is currently struggling. But, Tracy's career is very important to her which means she and her husband Mike have had to make some concessions in their marriage. Mike is the Mayor of a small town in Connecticut. He has bigger political aspirations and is working around the clock to perform his civic duty. But, things are not working out in their marriage. Mike and Tracy are seldom together and Tracy isn't sure what she wants anymore. So, she leases an apartment in Manhattan for a six month period to workout her feelings and her career issues. But, a nasty fall caused by an older woman on a bicycle has Tracy experiencing dizziness and headaches. In the meantime Tracy has become acquainted with her movie star handsome neighbor, Phillip. cleverly and wonderfully thought out. The movie themes scattered through out the book are romantic and fun since I love all those movies . Who doesn't love Cary Grant? Yes, it would be hard to resist that charming fellow!! Well, he may have seemed perfect on screen and in our fantasies but in real life the big hearted guys like Mike are about as close to perfect as you are likely to get... still, I get the feeling that somewhere out there Christina and Phillip are clinking martini glasses and exchanging quick witted banter. This is another 5 star effort by Emelle Gamble!! Thank you Clue Review for this amazing review! It's not often an author gets to say, "that reader got everything I was going for" and when it happens it brings joy to the heart and, frankly, a tear to the eye! Many many thanks! Now readers, how do you use reviews? Do you follow them? Post them? Let us hear from you! Thanks for your review today. I have a copy of this book on my Kindle...must pull to the top to read next! Can not wait to hear what you think Karen H! Good luck in the drawing. And thanks for posting! 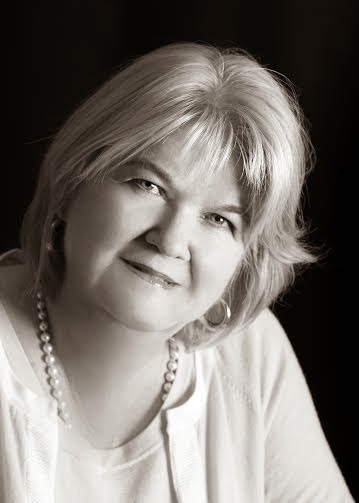 Thanks for the support, dear Sandra Hutchison. And any reader who sees this comment, check out The Awful Mess. It is a wonderful and compelling love story by my good buddy here. This books for you then Rowanworth! Lots of Cary Grant. And his friend, a certain red head named Kate! I hope you win one, or buy one. Either way, let me know what you think. Writers truly love hearing from readers. Good luck! This book sounds very interesting. The bicycle reference made me laugh. I just saw that movie at the Boston Pops, they played the sound track to the movie as it was being shown. Hi Deborah! great to see you here. Good luck in the drawing...and if you do get a chance to read it, let me know what you think of Cary and company. It was so fun to hear his voice in my head and put words in his mouth! Appreciate the review. Love the way Mike just tries to do maybe too much for everyone else to the detriment of his family...looking forward to reading this. Also, I have 4 cats, orange are my favorite!! Susan, I love that you love the red cats. HA! These two are my third and fourth orange girls, two sisters. I should have named them Lucy and Ethel instead of Lucy and Bella! And thanks for the post. Good luck in the drawing. Thanks BN100 and Vitajex! Good to see you on the tour. Good luck in the drawings. I love your reviews! I know what to expect and normally one click what you recommend! Thanks for the chance to win! And keep up the great work! Thanks for stopping by Angie Turner. And boy are you correct about the reviews on this site! They are informative, thoughtful, fair and generous. Julie really cares about readers and authors. Yay her! Good luck in the contest. Wow! Such wonderful comments today!! Thank you all for stopping by The Book Review and supporting Emelle and Goddess Fish Promotions! We love your site! And I love Goddess Fish. They have such great bloggers and reviewers they partner with. A real help to authors to get to know these lovely readers. Thanks again Julie! I like the whole except. It sounds like a wonderful read. Definitely going on my tbr list.